Top Swedish TV executives from TV4 Group, SVT, MTG and SBS Discovery Media have written to the government calling for net neutrality to be protected. The letter says that in light of possible legislation from the European Commission, it is particularly important that Sweden calls for regulation that prohibits web discrimination for legal content. It also calls for regulation that promotes innovation and competition, allows services like IPTV to continue to develop in parallel with a stable and open internet, and establishes the principle that specialised services will not reduce the quality of open internet services. “Sweden has been one of the leading countries in the digitisation of Europe. The prerequisite for the development has largely been the internet’s open nature. We media companies have always been supporters of a strong, open and free internet,” said the letter. Currently, there are no clear rules on net neutrality at an EU level, leaving 96% of Europeans without legal protection for their right to access the full open internet. However, in Spring 2013, the European Council requested the European Commission to make a proposal for achieving a single market in telecoms, resulting in a legislative package for a “Connected Continent: Building a Telecoms Single Market”. The measures included aim to establish EU-wide rules on transparency, switching and traffic management. 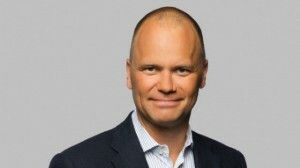 The Swedish net neutrality letter was signed by TV4 Group CEO, Casten Almqvist; SVT CEO Eva Hamilton; Anders Jensen, MTG Group’s executive vice president of its Scandinavian free-TV and radio operations; and CEO of SBS Discovery Media, Jonas Sjögren. It was addressed to IT minister Mehmet Kaplan, culture and democracy minister Alice Bah and industrial and innovation minister Mikael Damberg.